Lawrence Rubin Greenberg Van Doren Fine Art is pleased to present a thematic survey of classic American paintings from the 60s and 70s. This exhibition revisits post-war American color field and abstract painting in works by Josef Albers, Sam Francis, Helen Frankenthaler, Philip Guston, Al Held, Morris Louis, Cy Twombly, and others. The exhibition highlights a group of paintings that extend the role of a primed or un-primed support, elevating the canvas from a secondary to a more primary role. Among the works featured in the exhibition is a rare and beautiful “Unfurled” painting by Morris Louis, Beta Omicron, 1962; a large scale “Blue Balls” watercolor by Sam Francis, Untitled, 1962; and an important Philip Guston transitional painting, The Stranger, 1964. Also included is a blue Josef Albers, Homage to the Square, 1960; Helen Frankenthaler’s Black Noon, 1977; Al Held’s dynamic Circle and Two Squares, 1967; and Cy Twombly’s Untitled (Roma), 1962, a tranquil “portrait” size painting. 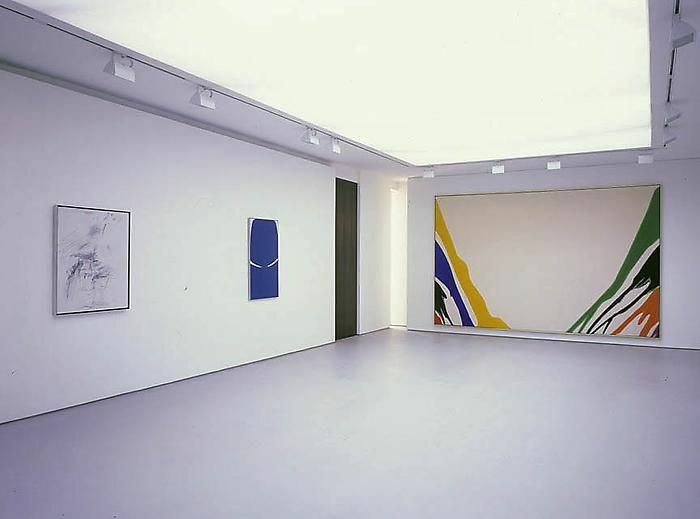 Thematically historic, the exhibition asserts the rich legacy of these painters and their influence on mid-career artists such as Peter Halley and Carroll Dunham, as well as a current generation of young painters: Laura Owens, Monique Prieto, and Ingrid Calame, among others.